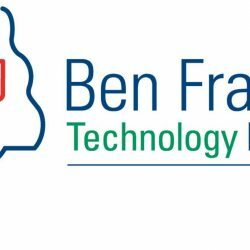 READING – Pennsylvania Glassworks Co. recently received $100,000 from the Ben Franklin Technology Partners of Northeastern Pennsylvania, state Rep. Tom Caltagirone has announced. The Reading business produces decorative architectural cast-glass panels. Their process allows architects and designers to apply custom glass wall panels, windows and doors that have deep sculptural patterns or imagery cast directly into the surface of the glass. “Congratulations are in order for Pennsylvania Glassworks, who makes a beautiful product known in high-end work all over,” said Caltagirone, D-Berks. “Their work is another part of what makes our region – and Pennsylvania – known across the country as a leader in highly skilled crafts. Since beginning operations in 1983, BFTP/NEP has created 18,056 new jobs for Pennsylvania and retained 31,840 existing jobs, helped to start 511 new companies and developed 1,733 new products and processes. The Pennsylvania Ben Franklin network has returned $3.60 to the state treasury for every $1 invested in the program.